There is plenty to do on or near the water this weekend no matter where you are in the world. Boat shows this weekend include the Beale Park Boat Show, going on Friday through Sunday in West Berkshire, England. 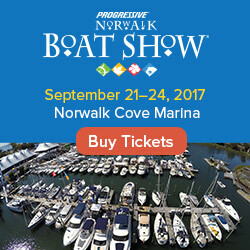 Make a difference and attend the Dana Point Boat Show and Green Expo (formerly known as simply the "Dana Point Boat Show"). The event is being billed as Southern California’s first "green" boat show. Don't worry, despite the new enviro-focus, the show is not going all-sail - it will still have plenty of powerboats on display. And, if you go Friday, almost everything (except the boats) costs a buck. The 21st annual Caloosa Catch & Release Fishing Tournament, the oldest tournament series in Southwest Florida and one of the most prestigious tournament venues in America, kicked off today in Ft Myers, Florida. Plenty of reasons to attend, including the website's claim that complimentary LANDSHARK Lager will be provided at all functions. 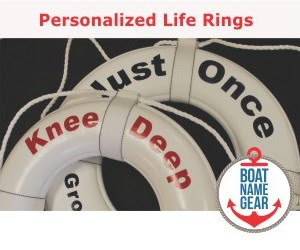 This Saturday is the first day of National Fishing And Boating Week in the US, a national celebration of fishing and boating coordinated by the Recreational Boating & Fishing Foundation(RBFF). Need more info about any of this weekend's festivities, or upcoming boat shows, visit our boating event calendar. 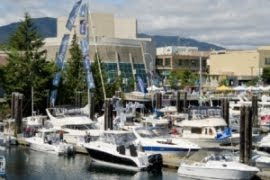 My wife and I have always loved to go to a boat show. Now that our son is old enough to climb aboard we have found going to a boat show to be a great way to pass the entire afternoon.